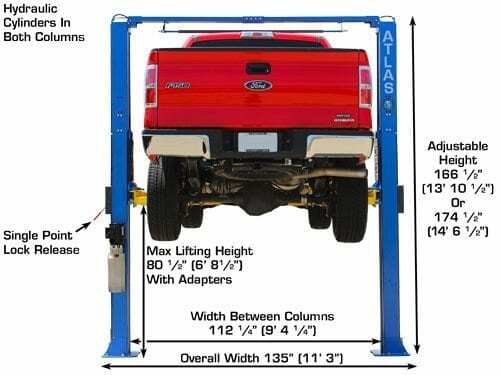 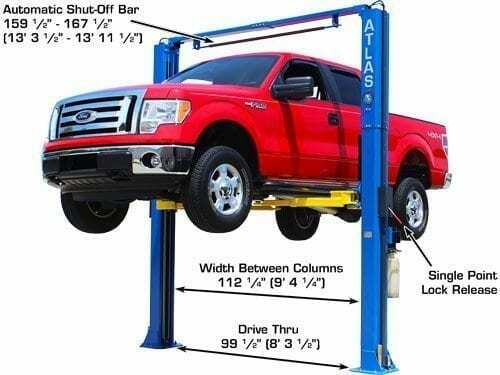 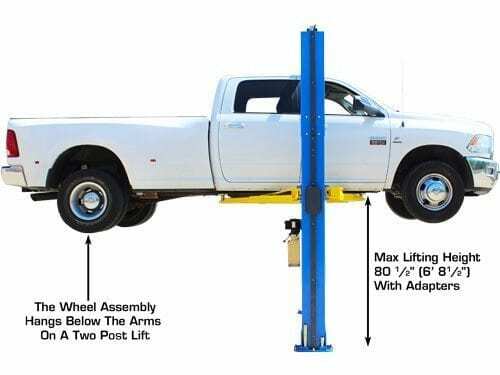 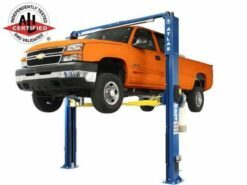 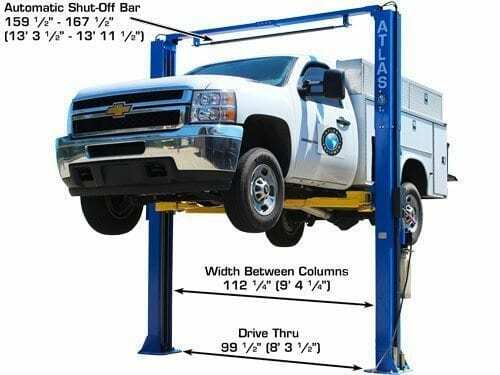 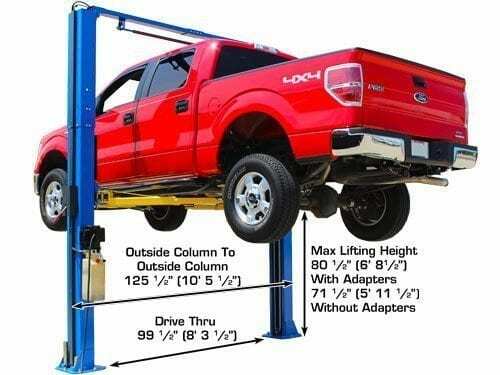 The Atlas® PV-9HP is the taller version of the Atlas® PV-9P two post above ground lift. 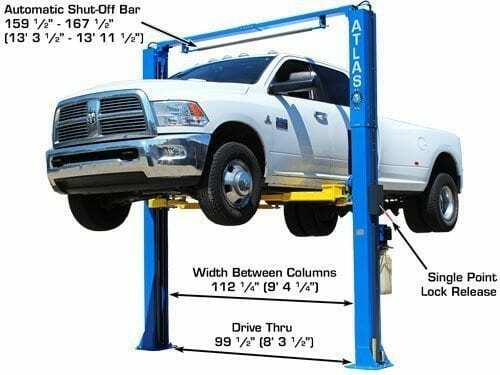 The over head beam (that connects the two columns) is positioned two feet higher than the over head beam on the Atlas® PV-9P. 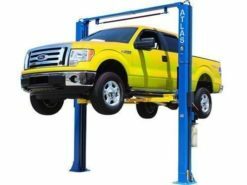 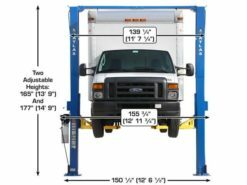 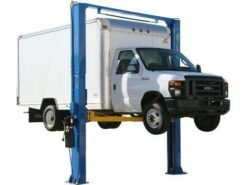 The taller position of the over head beam allows the Atlas® PV-9HP above ground hoist to lift taller vehicles. 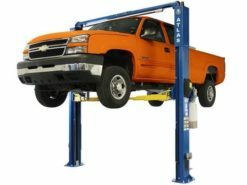 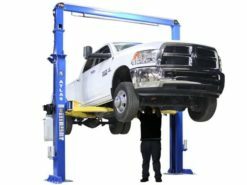 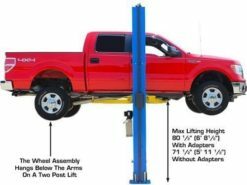 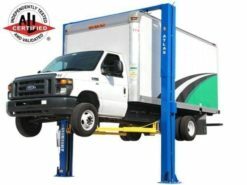 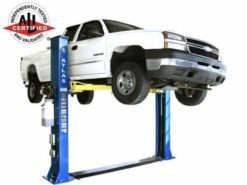 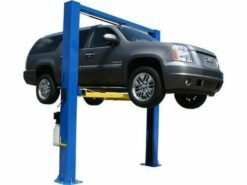 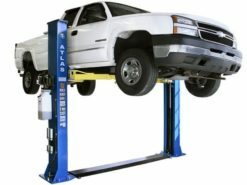 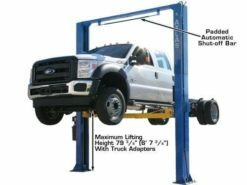 The Atlas® PV-9HP is a commercial grade two post lift that incorporates the same arm and carriage design as our Industry leader PV-10P. 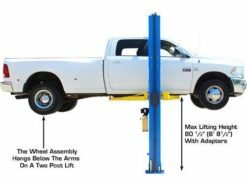 The PV-9HP has symmetric columns and specially designed arms that can be set in either the symmetric or asymmetric position. 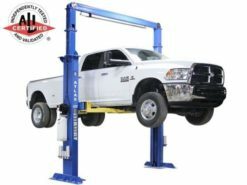 The PV-9P has dual direct drive cylinders and single point lock release.